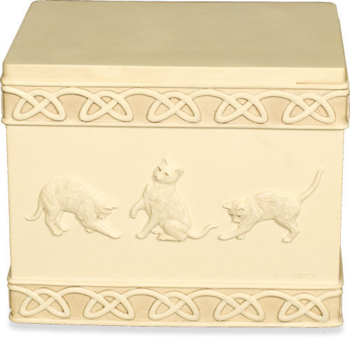 The Stone Cat Cremation Urn - Engraved features a cultured stone box urn with optional personalized engraving across the top of the box. A border of connecting Celtic knots runs across the upper and lower edges of the box. This urn is cast stone and resin with a similar look and feel of real carved stone and has the color of limestone. Click on the gray box below marked Detailed Images to see the raised kittens at play on the back of the urn. A 2"H x 2.5"W photo of your beloved pet can be displayed in the photo frame. Optional engraving is available for a small fee. If you select Engrave Front of Urn, engraving will be beside the photo which is a fairly small space so please limit the engraving to 8 letters on the first line and 10 letters/numbers on the second line. 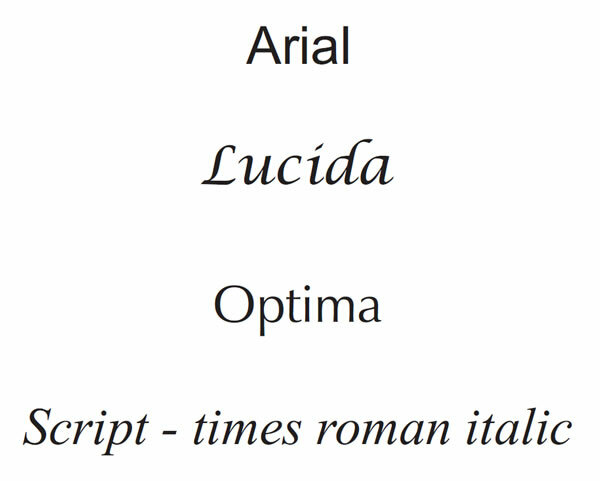 If you select Engrave Top of Urn, engraving is limited to 20 letters/numbers per line. If you have questions about the engraving please call us at 800-511-0295. We are happy to help you design the engraving. Urn is accessible by removing the plate on the bottom of the urn. The urn opening is 4.25" x 2.5". The urn is 4" deep inside. Size: 5" x 6 1/5" x 5"
Holds 70 Cubic Inches which is large enough for most pets weighing 55 pounds or less. As with all urns, cremains should be in a sealed plastic bag inside the urn and this plastic bag will take up some of the room in the urn. Please allow 5-6 business days for engraving before urn ships.